Here is what we know: each of us has an individual set of microbes, collectively known as the microbiome, from the moment we are born, starting with our mother’s bacteria and then continuing to gather new microbes throughout our life as a result of environmental influences. Among these are probiotics, needed and beneficial bacteria which support the bacteria that live within us. Their numbers can become challenged by factors that include antibiotics, poor diet or travel. Scientific investigators are finding their impact on overall health can be significant. The chemicals they emit may interfere with the way food is digested, medicine is deployed, and even how a disease progresses, according to experts. Research in the last decade on manipulating the microbes within has been varied and extensive, involving antibiotics, probiotics and prebiotics (dietary fibers that promote the growth and met- abolic activity of beneficial bacteria, including probiotics). The results of numerous studies suggest that certain types of probiotics may play a potential role in reducing gastrointestinal illnesses, including inflammatory bowel diseases, antibiotic-related and infectious diarrhea and irritable bowel syndrome. 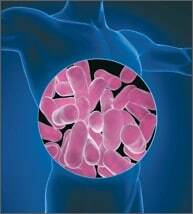 Additionally, the benefits of probiotics may extend into enhancing immune function. The idea that probiotics can improve the ability to fight off colds, promote a healthy urinary tract, reduce the risk of eczema, allergies and possibly Parkinson’s disease, in preliminary studies, has gained traction with nutritionists and gastrointestinal physicians alike. As with all touted healthcare advancements, however, a note of caution should be sounded. 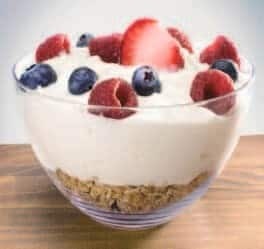 According to the American Gastroenterological Association (AGA) Institute, adding probiotics to your diet, especially in the form of a supplement, should only be done in consultation with your physician. Some probiotics may not be appropriate for seniors, others may interfere with or interact with medication. Not all strains are the same, and while a specific kind of Lactobacillus may help prevent an illness, that doesn’t necessarily mean that another kind of Lactobacillus would have the same effect or that Bifidobacterium probiotics would work. The same advice applies to adding prebiotic supple- ments to your diet. Although a great deal of research has been done, much remains to be learned. The encouraging news: gaining a comprehensive picture of the microbiome is a matter of intense interest to the medical community, and will be further advanced in 2017 by programs such as the government-funded $121 million National Microbiome initiative. The post Gut Instincts: Can More Bacteria Mean Better Health? appeared first on Specialdocs Consultants.